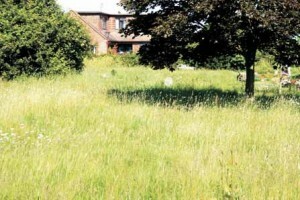 I am sure that many of you will have noticed how long the grass has been in the churchyard. Sadly a component in the gear box of our mower broke and we have been unable to cut the grass for some weeks. The big problem has been that there is only a single world wide supplier of parts, and they are in the United States of America. The decision was made to have a cleanup day and with the help of Gary Thomas we advertised it in the village shop and on the village website. 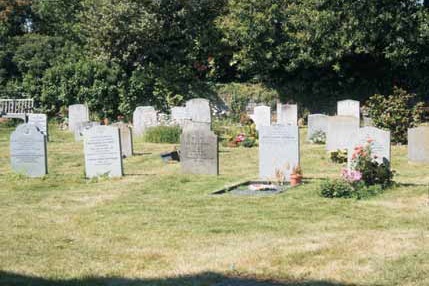 On the Saturday morning, the sun was shining and I went to the churchyard hoping 5 or 6 people would come to help. I have never been so pleased to be wrong. 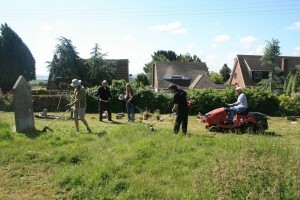 At least 25 people of all ages from junior school children to senior citizens turned up bringing mowers, shears, rakes, strimmers and wheel barrows. 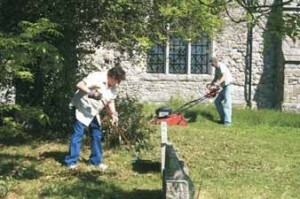 Some made tea and refreshments while others mowed and some cleared up the grass cuttings. 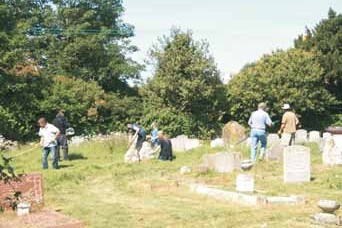 Everyone pulled together and did the most amazing job, transforming the churchyard in a matter of hours from a meadow into a park like garden. There was a real community spirit with new friendships made and old acquaintances renewed, lots of fun and laughter and a sense of a job well done. To cap it all we were invited to enjoy the hospitality of the Red Dog by the landlord Lee who provided the thirsty workers with a free drink. In fact most of the people who came agreed it was such a good time we want to do it again. So if you’re free on Saturday 18th June why not come and join us at 10am as we get together to trim the hedges, cut back the shrubs, and clear the brambles followed by a free BBQ lunch in the Rectory Garden afterwards. Once again a big thank you to all who were willing to come and help and contributed their time and efforts. This entry was posted in Blog and tagged St Margaret's Church. Bookmark the permalink.